We, the Rush Captains of Zeta Beta Tau (ZBT) at The University of Texas, want to take this opportunity to personally welcome you to ZBT Rush. Continuing our almost 100 year long tradition, we are determined to not only reel in the strongest freshman class at The University of Texas, but one that rises to the top within ZBT nationwide. With our stellar freshman class easily surpassing double digits in legacies, different majors represented and hometowns across the country, ZBT continues to rank within the elite in Greek life at The University of Texas. We are repeatedly among the largest, and within the top GPA’s, among all Fraternities on campus. 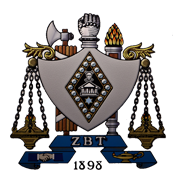 Just in case you’re not familiar with ZBT’s prestigious history or our highly-respected reputation on campus, let us further introduce you to our fraternity. When you visit the University, we look forward to showing you not only why you should go Greek at Texas, but also more importantly why ZBT might be a great fit for you. We pride ourselves on maintaining a highly diverse chapter in all study areas including specialized programs like Pre-Med, Pre-Law, Plan II, McCombs School of Business (Honors), Liberal Arts Honors, Engineering, and Communications to name a few. Around campus, ZBT maintains an outstanding reputation. Many members of our fraternity are active in extracurricular organizations including student government, the Interfraternity Council, Texas Cowboys (Matt Sherman, President), Silver Spurs (Alex Balser, President), the Football Team, the Basketball Team, Business Organizations, Longhorn Singers, Hillel, Chabbad and many more. Our longstanding advisor, Todd “Doc T” Aaron, received the award for “Best ZBT Advisor” at the 2013 ZBT National Leadership Conference. In addition to our active’s involvement on campus, ZBT is well known for our philanthropic involvement. Besides spending time with our B+ Foundation little brother, Jeffrey, we host ZBTourney (a basketball tournament to raise money for B+ Foundation) and partake in “Get on the ball!” (A national ZBT Initiative to raise money for Children's Miracle Network). The ZBT house is the only fraternity on campus with a solar-heated swimming pool, and one of the ONLY fraternities with a regulation basketball court. On any given day, you can see/meet a member of the basketball team playing hoops on the “Doc T” basketball court. It’s not unheard of to see a member of the football team studying in our study room. Those are just a couple of the reasons why the ZBT house was just named one of the 20 coolest fraternity houses in the south. (http://coed.com/2014/09/04/the-20-most-impressive-fraternity-houses-in-the-south-photos/). We also hope to see you at one of our premier social events. Fall is Hurricane SZN, where we transform ZBT’s backyard into the New Orleans French Quarter at our World Famous Pat O’Brien’s Party; the biggest ZBT party nation-wide. Winter is home to avalanche, a winter themed-rave where we are able to imagine we are still on our ZBSki winter break trip. In the spring, during UT Round Up, we have ZBTahiti, ranked the number one college party in America for 2016. We end the school year with the biggest pool party at Texas ZBT Belly Flop (no explanation necessary). Being a ZBT at The University of Texas is so much more than just four years of your life; it’s a brotherhood that will last a lifetime. Texas ZBT has one of the strongest, most, prestigious alumni bases in the country. Many regularly provide internships and permanent careers for our members. The life-long connections and brotherhood opportunities are endless with ZBT. We know that this time can be overwhelming and you may have some questions. Please feel free to call, text, or email any of us with any questions you have. If you know of any high school seniors interested in Texas that we may have accidentally left off our mailing list, please give us their contact information, and we will be sure to immediately get in touch with them.